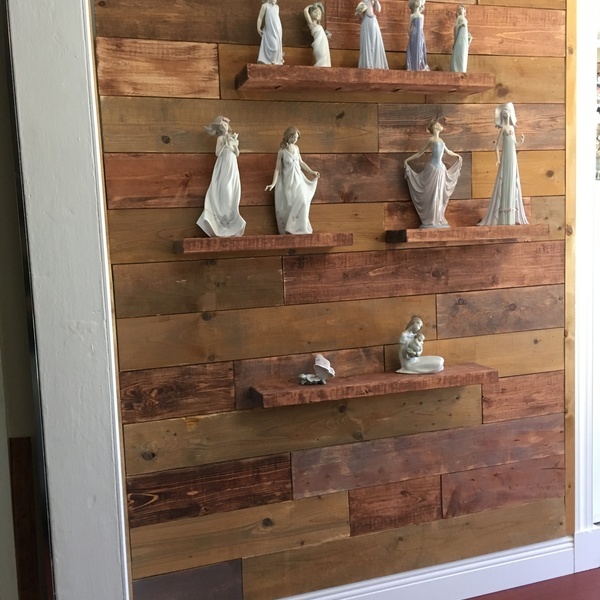 I used just plain Whitewood 1x6's and a few different colors of stain to create this "Reclaimed Wood" look wall to display my wifes Lladro collection. Floating shelves are 2x6's and nicely blend right into the wall. I created the layout first on paper, creating the different lengths and colors so not to have same colors together and to be sure of a good spread of the ends/joint seams. 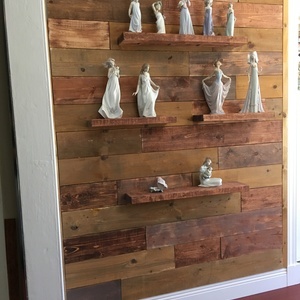 I wasn't sure how the fine, elegant figures would look on a rustic background but I think the contrast is beautiful. We also like the contrast! 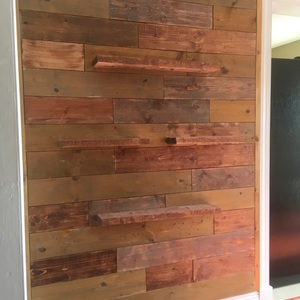 What was your favorite part of making this wall?